I'm guilty of it. You're guilty of it. With a place the size of Walt Disney World, there's always going to be some attraction that has to give. It's just how it works. I realized it on my last trip as I was walking past Swiss Family Treehouse. It had been multiple trips since I had been there. So we decided to pop in and enjoy this great distraction. Because of my side trip, it got me to thinking, there are some attractions, some lesser known and some that not have universal appeal necessarily, that you should catch every so often. They have merit and heart and shouldn't be missed trip after trip. These are the attractions you are probably missing at the Magic Kingdom. Of course, my first attraction is going to be the one I'd previously mentioned. The Swiss Family Treehouse is a great little attraction. It has amazingly detailed sets themed after the movie Swiss Family Robinson. It also has incredible views when you reach the top. Granted, it is a walking tour and there are quite a few stairs to climb, but because it's shaded a bit, it's a great attraction to hit up in the middle of the day when crowds are high. Yes, you'll be outside, but shade helps a ton in that Florida sun. The Country Bear Jamboree is just a fun attraction. Yes, many think it's a bit dated and it was recently cut down due to it's longer length and people's shorter attention span, but it's got just enough kitch to make it somewhere you need to stop. Join AudioAnamatronic bears Henry, Liverlips, Big Al, Wendall, Trixie, and many more as they sing songs country songs that harken back to days of yore. Part of the reason that many don't like the show is that some of it's songs are a little "suspect" in this day and age. But it's all done tongue in cheek and people shouldn't be offended by it's (bear) nature. It is a rollicking good time. So folks, thanks for bearing with this one to the bear end and bear-el around to see them again on your next visit to the park. 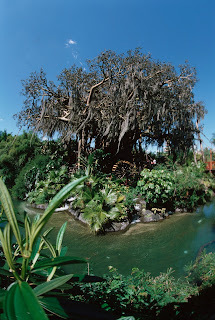 Liberty Square Riverboat, I will admit, is one that is still on my bucket list. It is one of the few attractions in the Magic Kingdom I have never actually done because I've always missed the timing on (it's only run during daylight hours) and due to the length (it clocks in at around 25 minutes.) This Riverboat ride takes you along the Rivers of America and gives riders views of Frontierland and Liberty Square you won't see anywhere else. Crowds are always minimal here, so if see the boat pulling up, get in line. This is one, I'll admit to being guilty of missing at the Magic Kingdom. The Tomorrowland Transit Authority Peoplemover is well known among the Disney community as one of the best attractions to relax on. If you're more a Disney newbie, you would more than likely just skip this attraction. If you fall into that camp, you are making a large mistake! This attraction's entrance can be hard to find, which may be causing you to miss it. It can be found in the same plaza area as The Lunching Pad and is quite near the entrance to AstroOrbiter (another commonly skipped attraction, in my opinion.) The TTA or Peoplemover as it's known is an amazing option for just sitting back and relaxing. It takes you on the grand circle tour of Tomorrowland, taking you through Space Mountain and with views into Buzz Lightyear's Space Ranger Spin and the shop Mickey's Star Trader. It is the nicest 10 minutes in the park that you'll have and if it's not busy (which it commonly isn't), they'll let you stay on and go around and around and around. So kick back, relax, and enjoy a spin (or many) on the TTA. 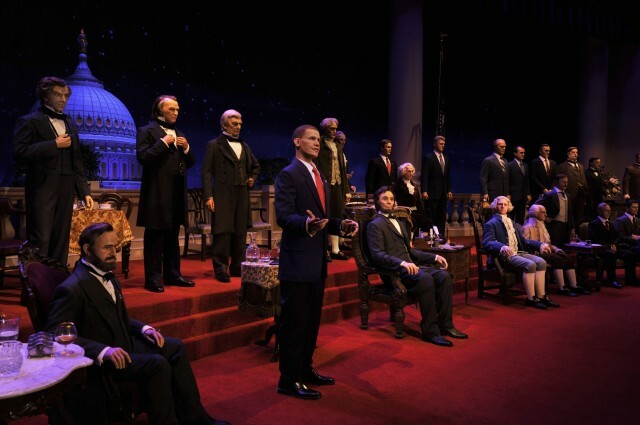 The final attraction that you are most likely missing is the Carousel of Progress. This attraction harkens back to Walt Disney and the 1964 World's Fair. It was one of four attractions built for the festivities. The show takes you through four different scenes in a theater that rotates and tells the story of one family's journey though time through technology advances. The show is a favorite for a couple of reasons. One is that it gives you a glimpse into the past. Where we've come from to now in the past 100 years. (If you don't mind the last "retro future" scene which has clearly missed the mark on the vision of the future and needs an upgrade drastically. It's still a fun finale, even if it is dated.) The other part that is great is the song. Trust me...you WILL have it stuck in your head. (Thank you to the Sherman Brothers.) Last, this attraction is one you shouldn't miss because there really is a Great Big Beautiful Tomorrow, Shining at the End of Every Day. 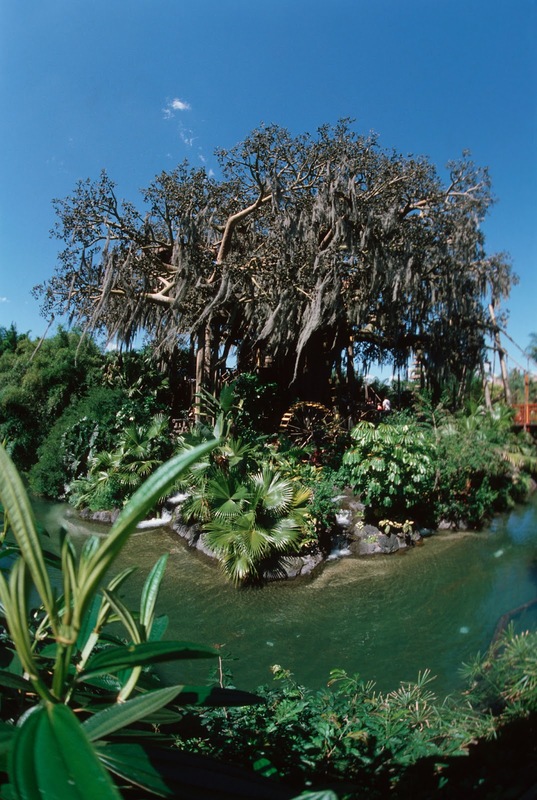 What is your favorite attraction that you think people shouldn't be missing? Let me know in the comments or on the Facebook page. I've never taken the raft over to Tom Sawyer's Island. Timing is always off. But please do not make me endure Stitch's Great Escape ever again! I've done Tom Sawyer before and it is a good diversion especially if the park is crowded. As far as Stitch, I have to still see that as Stitch is my hubby's favorite character. 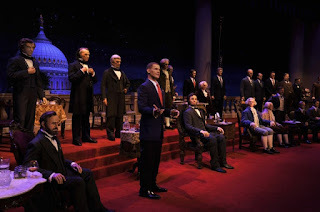 I've hit all but the riverboat- infact, we never miss Carousel of Progress- just love it!